Beyond Zero Emissions is a volunteer-powered climate solutions think tank, ranked as one of the world’s best. 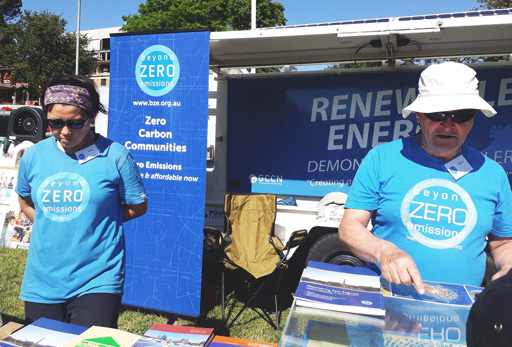 Beyond Zero Emissions are a community of technology experts, scientists, researchers, communicators and concerned citizens who freely give their time and expertise so that a safe climate can be secured for all. Its Mission is to show a zero emissions Australia is achievable and affordable now.